A taste of our everyday life! Saturday was mine & Bill’s 6 year anniversary! Wow! Time has flown by. It’s been a great 6 years! We have had difficult times & wonderful times both, but each thing we went through brought us stronger & closer together. 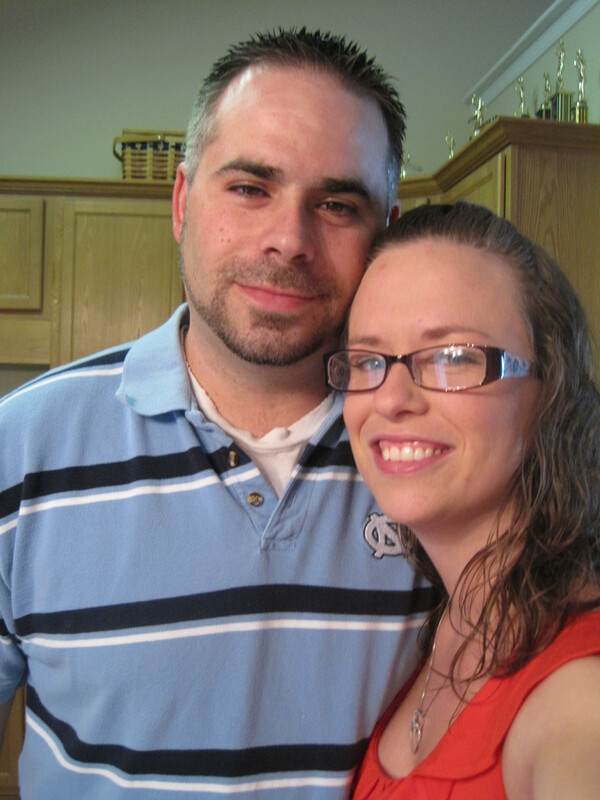 I’m so thankful for my wonderful hubby! He is a great father to our son Samuel. I’m so thankful for a husband that loves me & loves our son. I’m thankful that he enjoys spending time with his family! My dad & Jennifer came over to watch Samuel for the day while we had a nice “date” day. 🙂 We went to lunch at an asian restaurant. Then we walked around a few shops in the area & just enjoyed each other & talking to each other about our life & our future. Believe it or not we didn’t talk about Samuel the whole time! It was good for us. That was our first real date since Samuel has been home, so it was much needed & really appreciated. Then we saw a movie. Guess which one!? X-Men! 🙂 Hubby’s choice, but it was actually pretty good. I don’t mind action movies. Plus, there wasn’t much playing earlier in the day. We had a wonderful time together & agreed we need to go on dates more often. Thank you daddy & Jenn for watching Samuel! Happy 6 years Bill! I love you! All ready for our date! Please feel free to email me if you'd like @ littlehouseofperrys@gmail.com. If you would like the password to my blog, send me an email!